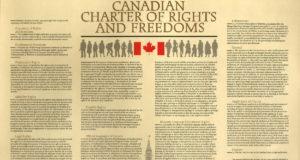 Section 33 of the Canadian Charter of Rights and Freedoms – better known as the “notwithstanding clause” – is one of the most controversial parts of the Canadian constitution. 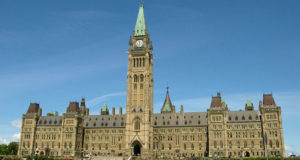 Despite being an integral part of the formation of the Charter, commentators such as Andrew Coyne have suggested that the provision is “dead letter” or “taboo”. 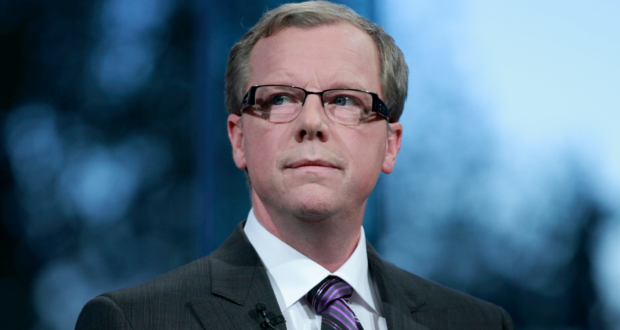 But on Monday, Saskatchewan Premier Brad Wall announced that his government would use the infamous notwithstanding clause to effectively overrule the recent Saskatchewan Court of Queen’s Bench decision in Good Spirit Division No. 204 v Christ the Teacher Roman Catholic Separate School Division No. 212 (“Good Spirit”). One can quibble about the appropriateness of how Premier Wall has gone about deciding to use to the clause in this circumstance. However, the surprisingly little blowback, accompanied by no small amount of praise, suggests that this provision may not be as nuclear as many have thought – and future events could increase its use. Some brief background about Good Spirit is necessary to understand how the notwithstanding clause has been invoked. In overview, Justice Layh held that Saskatchewan’s providing of public funds to support the education of non-Catholic students in Catholic schools violated the religious freedom and equality provisions in the Charter. 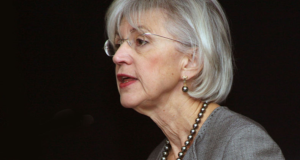 Though Catholic schools are constitutionally guaranteed in Canada, Justice Layh held that using public funds to advance the education of non-Catholic students indicates the state is preferring one religion (Catholicism) to all others, in addition to providing an unequal benefit to Catholics. 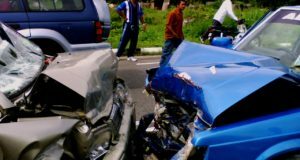 There have already been numerous commentators sharply criticizing the reasoning in Good Spirit. (Kent Roach notably does so here.) In any event, thousands of Saskatchewan families have made decisions on where to send their children to school based on the assumption that non-Catholics may attend Catholic schools with public funding. Similarly, communities have chosen where to build schools based on this assumption. As such, the impracticalities resulting from Justice Layh suggest he may have not have truly grappled with the institutional limits of courts. Given the obvious problems that Good Spirit has caused, Premier Wall clearly thought that it was politically prudent to invoke the notwithstanding clause to “get around” the ruling. 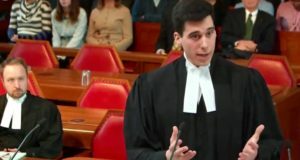 Kent Roach has persuasively argued that use of the notwithstanding clause is premature, though it may well be justified after appeal avenues have been exhausted. There is no risk of imminent chaos given that Justice Layh suspended his declaration of invalidity for over a year. 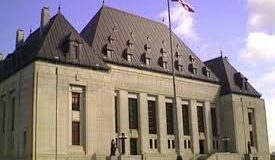 Invoking the notwithstanding clause merely absolves Saskatchewan of the obligation to comply with the court’s decision for the next five years so it is not a truly long-term solution. Moreover, Good Spirit could cause mischief in Alberta and Ontario should similar cases be brought. But one should not be too swift to condemn the Wall government’s invocation of the notwithstanding clause. The declaration of invalidity gives parents and policymakers only a year of certainty. Invoking the notwithstanding clause gives five years. As such, the Catholic school board’s choice to appeal Justice Layh’s decision is appropriate as supplementary, rather than alterative, to the invocation of the notwithstanding clause. This gives both the certain “five-year stability” of the notwithstanding clause, and the potential “permanent stability” of the appeal. The appeal may technically be moot but given the importance of the issues, appellate courts will very likely hear it. Even if Premier Wall’s decision to invoke notwithstanding were premature, such preemptive uses are not always so. The Supreme Court’s recent expansion of s. 2(d) to include matters such as collective bargaining and the right to strike could lead to a government preemptively invoking the notwithstanding clause to “impose work conditions” on unpopular unions. Waiting for a court to weigh in on whether such actions are constitutional seems like a waste of time and resources for all concerned given the fast pace of labour law. Such a situation led to Saskatchewan’s first invocation of the clause over 30 years ago. Kent Roach has condemned such preemptive uses of the notwithstanding clause as suggesting that the government “isn’t even interested in what [the court] has to say” with “democratic dialogue” therefore compromised. But with respect to Professor Roach, if a government does not care that a particular action is likely to be declared unconstitutional by courts, it seems a waste of time and resources to have the matter litigated. Andrew Coyne has implied and Leonid Sirota has stated explicitly that the use of the notwithstanding clause is per se illegitimate because rights are only meaningful if there is a neutral third party to enforce them – and legislatures cannot be that neutral third party. 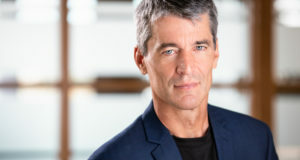 Coyne’s suggestion that we would have a Charter even without a notwithstanding clause is historically dubious and, in any event, irrelevant – the fact is that we do have a notwithstanding clause. Moreover, as principled as this stance may be, it runs the risk that the courts could truly “throw a wild pitch” and impede the proper functioning of government. Coyne’s position is therefore simply unpractical. It is true that preemptive uses of the notwithstanding clause may mean that certain litigants will be left in even worse shape than they were in prior to the Supreme Court’s decision (such as unions in the wake of the Court’s ruling that s. 2(d) includes rights such as collective bargaining and the right to strike). But this is the risk that comes with stepping into the constitutional litigation ring. 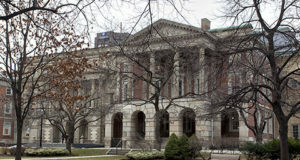 A party who seeks to have a court expand the meaning of Charter rights must be prepared to have the scope of those rights subsequently narrowed by the legislature. See The Supreme Court on Trial: Judicial Activism or Democratic Dialogue? (Toronto: Irwin Law, 2001).